Allegorithmic has released its latest update to Substance Designer, its material authoring software, adding a new PBR Render node and support for accelerated texture baking on Nvidia’s new RTX GPUs. The release also introduces a number of workflow improvements when navigating Substance Designer’s node graph, and extends the software’s new Python API. In its publicity material, the firm refers to it as either the ‘Fall Update’ or just the new release, but it’s 2018.3 in the release notes, so that’s what we’re calling it here. Although the update does introduce new functionality, Allegorithmic’s blog post on Substance Designer 2018.3 focuses primarily on its UX improvements. All are designed to speed up common tasks – it’s now possible to bring up the node list by pressing [Tab] – or make it easier to use the node graph. Changes include breadcrumb navigation in the graph view; the option to search nodes by labels, tags and function variables; and the option to highlight all of the parent nodes connected to the one selected. Nodes also get ‘badges’ showing whether they are displayed in the 2D view, 3D view or Properties window. New features include the PBR Render node, which makes it possible to display PBR materials in Substance Designer’s 2D or 3D views. Allegorithmic describes the results as “nearly as precise” as the built-in Iray render engine, but notes that the node “can take some time to render”. The update also introduces early support for RTX, Nvidia’s DirectX Raytracing-based GPU ray tracing tech, used in its new Quadro RTX workstation cards and its GeForce RTX and Titan RTX consumer GPUs. In 2018.3, it can be used to accelerate texture baking: the example on Allegorithmic’s blog shows a 2K AO map baking 18x faster, although that’s compared to the CPU, not a non-RTX GPU. In addition, the Python API introduced in Substance Designer 2018.2 can now be used to create or modify data as well as to inspect it. That’s a step towards Allegorithmic’s ultimate aim of making it possible for users to customise any part of the software through scripting, although as yet, the bakers and the 3D view still aren’t exposed to the API. 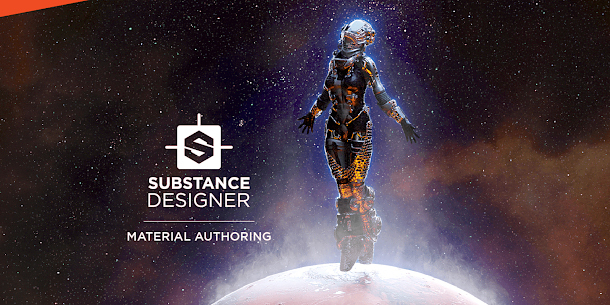 Substance Designer 2018.3 is available for Windows 7+, CentOS 6.6 or Ubuntu 16.04 and Mac OS X 10.11+.